UHF Multicouplers including RF Products 800525 multicouplers. 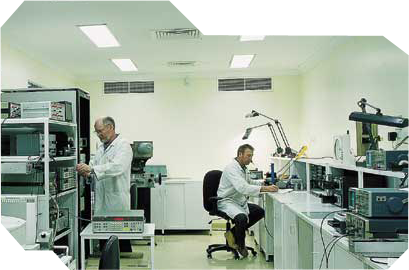 Bellinger is the sole Australian support agents for RF Products. Satellite Navigation Systems. Sensors including: Vibration, Temperature, Pressure, Icing, Water flow, Airflow, Humidity, Rotational Speed, Infrared and Light. Ship Logs including: FFG & DDG Log Probes, Submarine Log Probes. MK6 Log and EM Logs and repeaters. Sonar Systems and modules including: Mulloka, AN/SQS56, AN/UQN4. AN/BQG and Side Scan Sonar. Submarine fitted equipment eg. Inverters, Sonars, Displays, Valves, Actuators, Servos, EM Logs & probes. Synchros including: CT, CDX, TX, TDX, TR, Resolvers and Repeaters. Tacan including: Test Sets and Simulators, ILS and VOR. Torpedo Countermeasures including: 182 Towed Decoy & AN/SLQ25. TV Cameras and Monitors including: Director Aim and Gun Barrel Cameras. UPS systems including Clary Mil spec units. Valves and regulators including: Air, Hydraulic, Water, Fuel; Manual and Solenoid operated. Water Pressure Testing to 700 psi for external to hull Submarine equipment. Waveguide repair including: all bands and Rotating Joints. Wind speed and direction equipment. 1 Microvolt to 1100 Volt D.C.
0 to 110 dB DC to 26.5 GHz in 0.005 dB steps 0 to 70 dB 26.5 GHz to 40 GHz. Calibration of Microphones and sound level meters using a standard Piston phone. Accuracy to 1 second of arc. Bellinger has the capabilities to design and manufacture both complete systems and system components. Our capabilities primarily cover the fields of Command, Control, Communications and Computing. Recent projects have involved the design and integration of Wide Area Differential GPS systems and interfacing for the naval survey vessels and Mine hunters. Bellinger have also designed, installed and tested a Link 16 system on-board HMAS ANZAC and a development system in the SAAB test site in Adelaide. These systems not only give LINK16 Situational awareness, but allow for Link16 tracks to be forwarded to the Link 11 net and interface with the ship’s C2 system. A specialised information storage system has also been developed allowing not only time, but also GPS position, receiver configuration, user data, and other serial or Ethernet data to be stored on the voice tracks of a wideband tape or digital media recorder. This allows unprecedented evaluation capability for post mission analysis. Design and manufacture are completed In-house including PCB design, AutoCAD work and prototyping.